Hubbie is an avid reader. During the warmer months, he often takes the boat out for an overnighter or two. Last year he mentioned that the chair he sits in while reading on the boat could use a cushion. Aha! Christmas present! 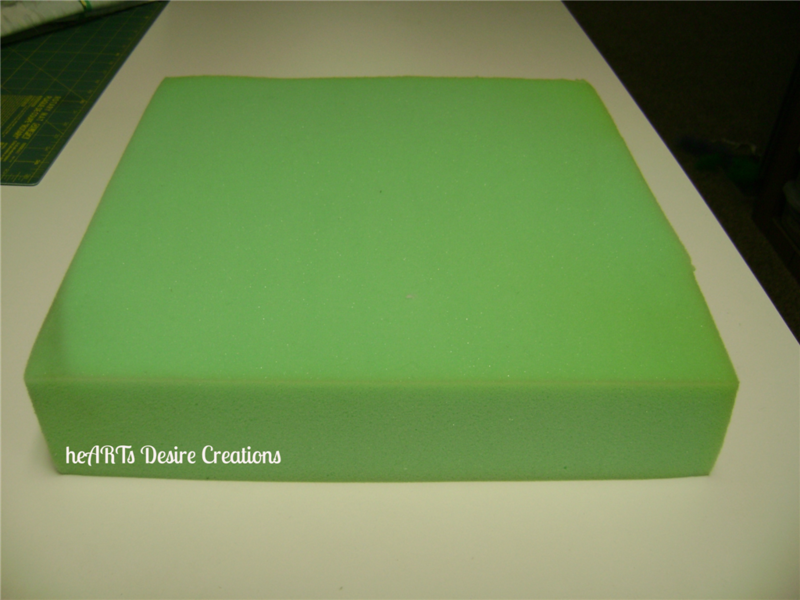 I purchased a piece of high density foam at the fabric store and cut it into a 14” square. Hint: An electric knife is the perfect tool for cutting foam. 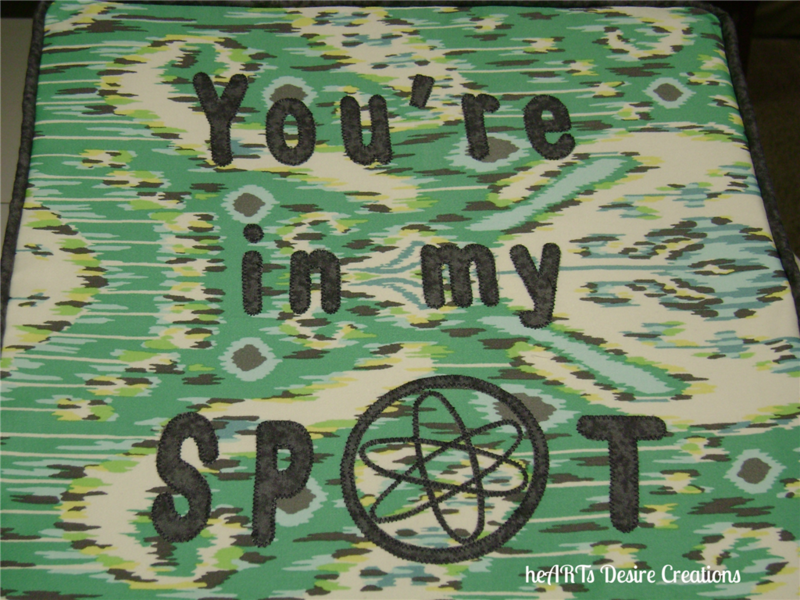 I chose a sea worthy looking home dec fabric from my stash and then printed off one of our favorite lines from the TV show Big Bang Theory – Sheldon Cooper’s famous “You’re in my Spot.” The letters were easy. 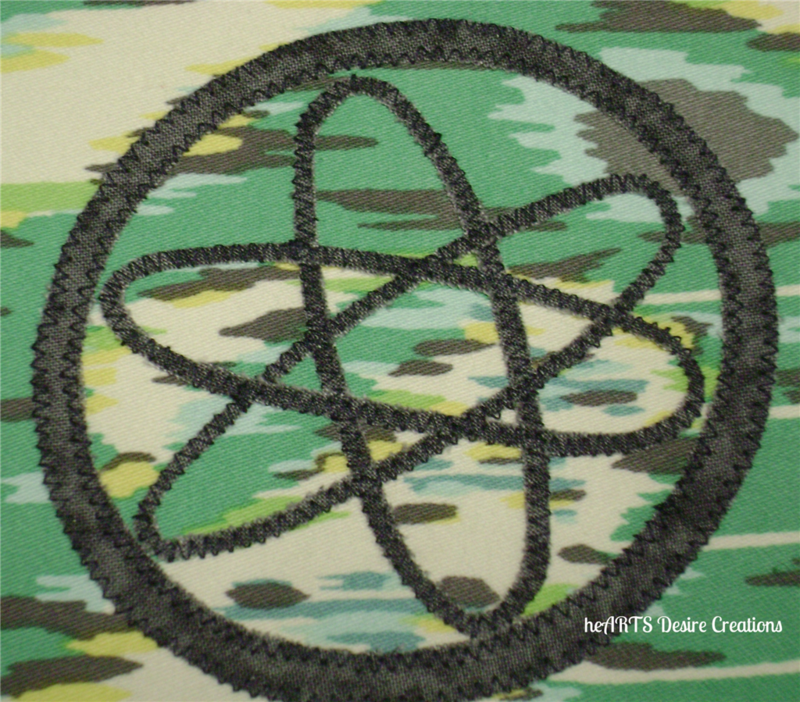 It was the elliptical shapes for the atomic symbol that were a bit of a challenge, but I am very happy with how that turned out. Now the problem with trying to do a surprise gift for my man is…he’s always there! I’d get an hour here and there, but it was not done for Christmas. Yes, I gave it to him unfinished. Yesterday I finished it! AND, it will count as one of my UFO’s for my guild’s challenge. (Only 13 more to go!) And yes, the one corner is a bit wonky – I need to adjust the foam a bit more. 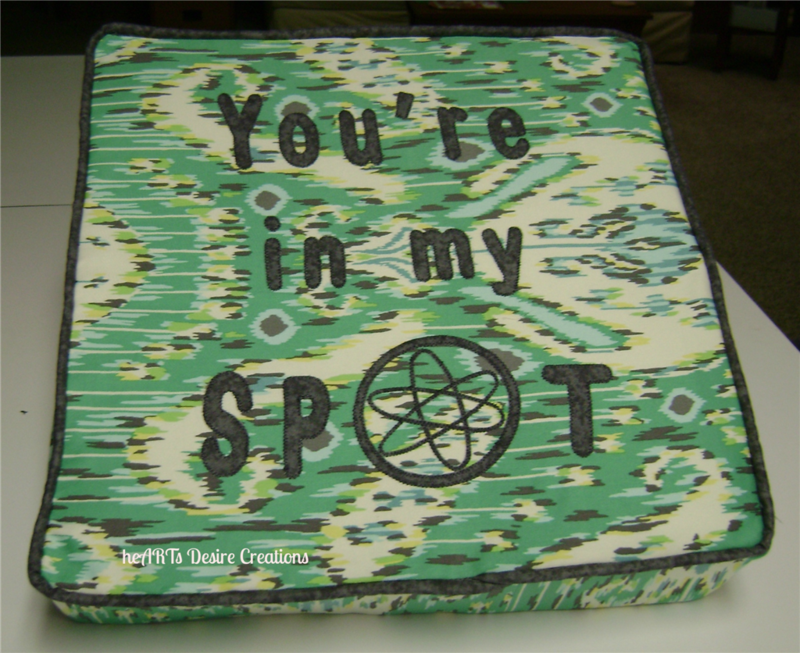 I do know that I never want to do another box pillow! Posted in Art, Fabric, Quilting and tagged flowers, garden, Quilting, Sewing, spring. Bookmark the permalink.